AMANPRANA | AMANVIDA | Organic coconut blossom sugar, named the most sustainable form of sugar by the Food and Agriclture Organization (FAO). Buying coconut blossom sugar at Amanvida has many benefits. We are not only an organic, ethical and sustainable webshop that offers you premium quality products at friendly prices, we are also the official Amanprana webshop. Amanprana is the first european manufacturer of sustainable Fair World coconut blossom sugar. As the official webshop of Amanprana, we are able to send you the freshest available products and offer reliable, clear product information. Why use coconut blossom sugar instead of white sugar, can sugar, honey, maple syrup...? Why use coconut blossom sugar instead of white sugar, cane sugar, honey, maple syrup...? Coconut blossom sugar contains more minerals than other natural sugars. For the absorption of other sugars, especially for white, refined sugar, your body needs to use a lot of its own minerals reserves. 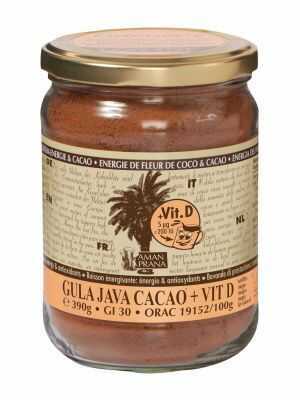 Not with coconut blossom sugar; it adds minerals to your body. Coconut blossom sugar is bursting with antioxidants. It helps break down waste materials. Processed sugars, in contrast; are waste materials for the body themselves. Coconut blssom sugar has the lowest glycemic index (GI) of all natural sugars, except for stevia. 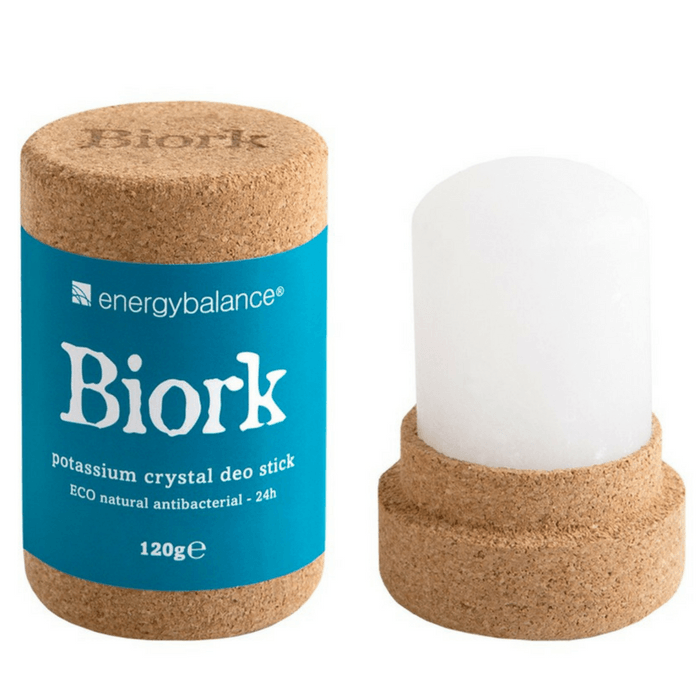 It provides slow energy instead of sugar highs and lows in your blood sugar levels. Mood swings and chronic symptons diminish because your body has a constant, gradual and natural energy supply. 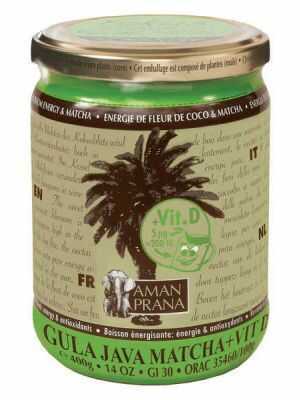 Why buy Coconut Blossom Sugar at Amanvida, the official Amanprana webshop? Buying coconut blossom sugar at Amanvida has many benefits. Not only are we an organic, ethical and sustainable webshop that offers you premium products at friendly prices, we are also the official webshop of Amanprana. 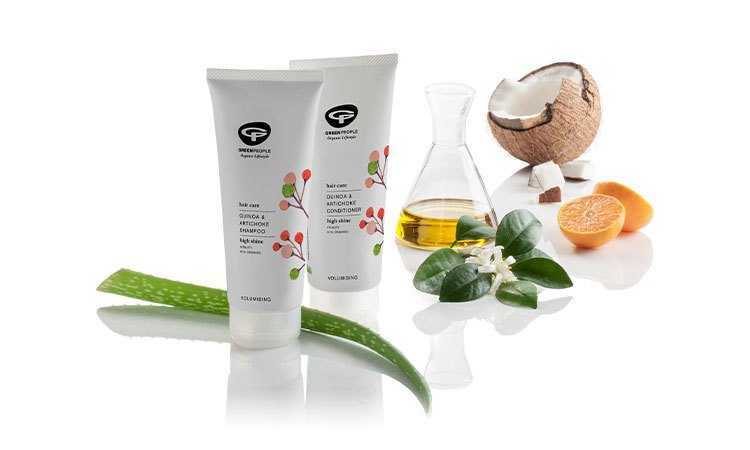 Amanprana is the first european manufacturer of sustainable Fair World coconut blossom sugar. As the official Amanprana webshop we are in a position to offer you the freshest available products and reliable, clear product information. 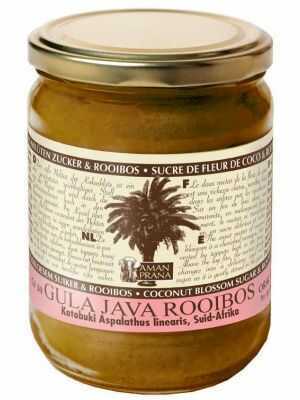 Your coconut blossom sugar - a type of palm sugar - is as a result of top quality and has a longer shelf-life. How do you use this unique palm sugar? Why opt for coconut blossom sugar? are all questions we, as the direct supplier of Amanprana, can answer correctly and with pride. 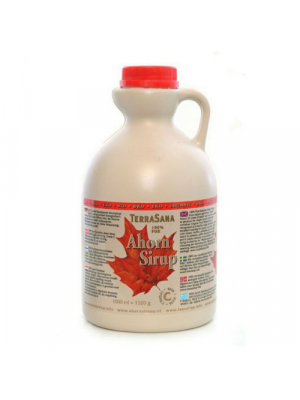 The coconut blossom sugar from Amanprana is available in a variety of forms and can be used in a multitiude of ways. Coconut blossom sugar is a palm sugar with a low melting temperatire and a high burning temperature, making it the ideal type of palm sugar to use in warm dishes and it mixes well with well with liquids. 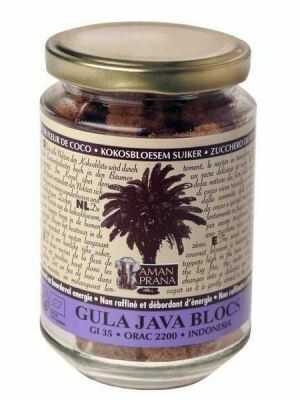 Gula Java Blocs are delicious in tea or coffee or even as a sweet. 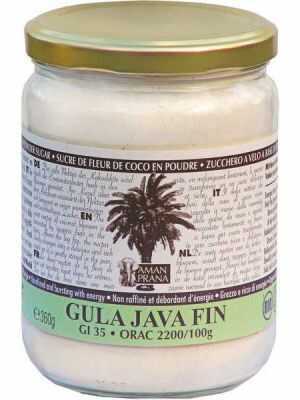 Gula Java Fin is a fine icing sugar that can be used in your pastries or to decorate them. 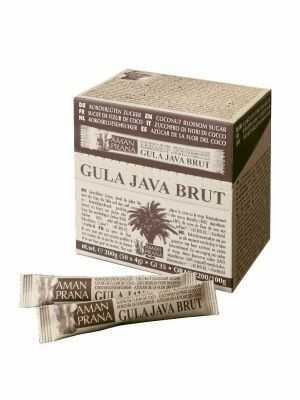 Gula Java Brut can be used as granulated sugar in curry dishes, cocktails, pastries using the same ratio; 1 tablesppon Gula Java Brut = 1 tablespoon granulated sugar. 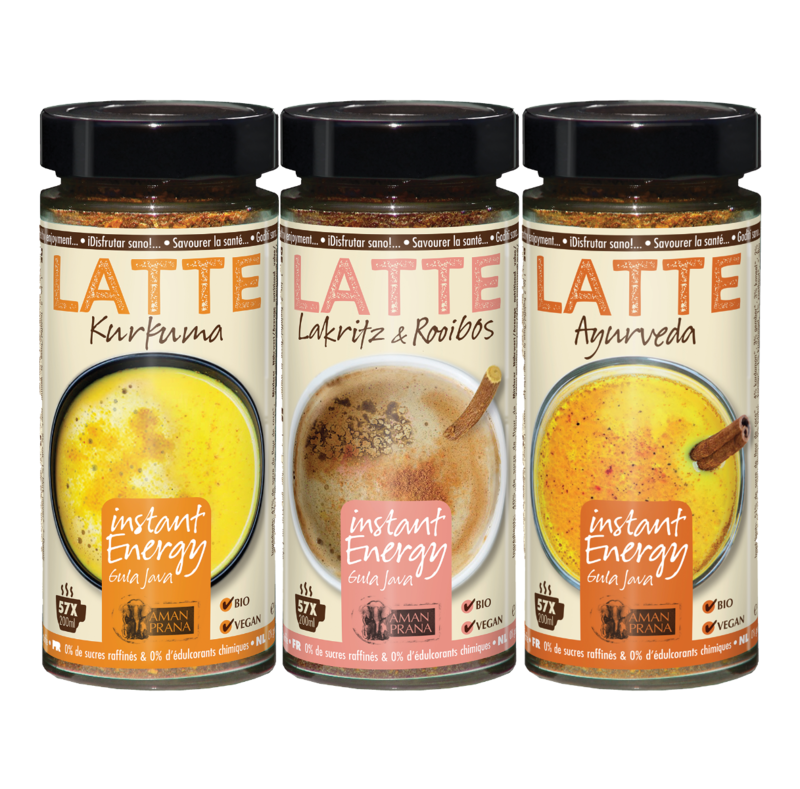 Due to its low glycemic index (GI) and high nutritional value, coconut blossom sugar is also the main ingredient in the Amanprana's energy drinks. A teaspoon of the energy drink in a glass of water, nut or grain milk is ideal to avoid energy dips during your workday or workouts! For more information about Coconut Blossom Sugar, please visit the official Amanprana website: www.noble-house.tk. Still have questions or couldn't find the answer you're looking for? Feel free to contact Amanvida, we are ready to assist you!